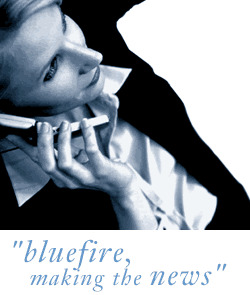 Bluefire Consulting are looking to recruit a Calibration Engineer for a role based in Stevenage paying between £25-£35k. This is an opportunity for a Instrument Calibration Technician with experience of working within a UKAS accredited calibration environment to take up an exciting and challenging role. Opportunity for a Calibration Technician with experience of working within a UKAS accredited calibration environment is required for this exciting and challenging role. *Working within a laboratory which has seen heavy investment. *Providing multi- disciplinary instrument calibration. *Working within a team updating calibration records to UKAS level. *Perform calibration and servicing on equipment. * A Degree or equivalent in a Engineering discipline. *You are likely to be an experienced calibration engineer with previous experience of working with in similar engineering UKAS accredited calibration Laboratory environment. *You will have an engineering biased background. The role is within an ultra-precision technology company who operate at the highest levels of accuracy. They have a unique facility to repair, calibrate, sell new and reconditioned equipment combined with the component inspection service.